Andy Howe took office as Sheriff of Clay County in January 2003 and has been working in law enforcement since 1988, all in service to Clay County. Sheriff Howe is a lifelong resident of Vermillion, is a graduate of the University of South Dakota and served in the United States Marine Corps. He is active in several community organizations including the Veterans of Foreign Wars and the Dakota Hospital Foundation Board. 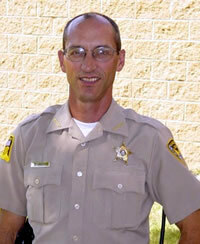 As Sheriff of Clay County, Andy oversees a staff of 22 employees including seven sworn deputies and a twenty bed jail.